Just because it's bulking season doesn't mean your body-fat percentage has to increase dramatically. If you want to stay relatively lean, keep these 4 factors in mind! Athletic Background: I've always played basketball, but enjoyed playing other sports as well. I've also always enjoyed sprinting. In the northern parts of the world, autumn is here and winter is right around the corner. For many of us, that means it's growing season! The chill in the air comes at the perfect time to add calories, strength, and size. The problem with bulking season though, is that those extra calories you eat to increase muscle size and strength often deliver a hefty portion of extra body fat. Now, don't get me wrong, adding muscle without adding any body fat is next to impossible, but you can increase your muscle and fat mass proportionately so that your body-fat percentage remains about the same. Fitness professionals all over the world stay relatively lean all the time because they compete, do photo shoots, and make appearances throughout the year. So, even when they're trying to put on size, they can't be too many months (or weeks) away from looking photo-ready. 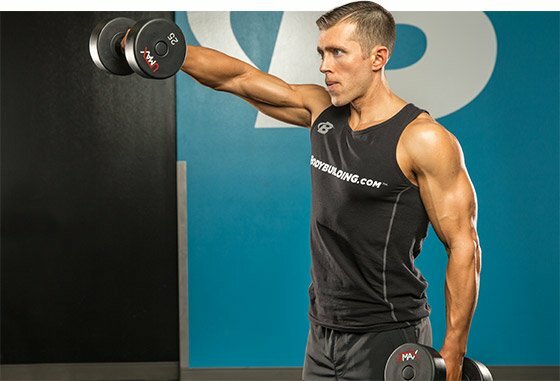 Even though it's their job to look great, fitness pros prove that despite the challenges, it is possible to stay relatively lean year-round, even when the main goal is adding size and strength. If your quest to build your best self includes staying lean through bulking season, then here are four key factors you need to know! Your cold-weather goals don't give you license to eat whatever you want. You owe it to yourself to find out how many calories you require in a day, what macronutrient ratio works best for you, and what a day's worth of meals to meet those needs looks and feels like. Yes, figuring all this out requires work, but everything in life worth having does! "You owe it to yourself to find out how many calories you require in a day and what a day's worth of meals to meet those needs looks and feels like." It may take time in the beginning, but once you calibrate yourself, you'll develop an implicit knowledge and feeling for what your body requires. The tacit understanding of yourself and your caloric needs is invaluable. If you can develop this skill, then you'll be able to make constant progress toward your goals without meticulously tracking every little detail. So, take the time to learn yourself and your caloric requirements. It's an essential part of staying lean year-round. The best place to start is to calculate your total daily energy expenditure (TDEE). Here's a TDEE calculator that will help you learn how many calories your body uses throughout a normal day. Keep in mind, though, that calculators are merely tools. Whatever number it gives you is not set in stone. Be sure to make adjustments when you feel they're necessary. Although a cardio regimen isn't necessary to stay lean, it can play a pivotal role in your ability to build your desired physique, and it is extraordinarily beneficial to your overall health. In fact, numerous studies have concluded that cardiovascular fitness is one of the best indicators of your risk for mortality or disability. Namely, the fitter you are, the lower the risk. It's no secret that incorporating cardio into your lifestyle can ensure longevity and improved health. High-intensity interval training (HIIT) has been shown to improve cardiovascular health, aid in fat loss, and help with muscle gains. 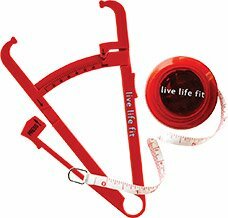 Additionally, it can help bolster speed, agility, and quickness performance. 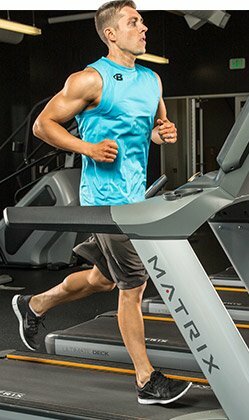 Doing cardio will also help you burn more calories, which means you get to eat a little more food! Who doesn't like that? The best way to keep cardio in your workout regimen is to find a type you enjoy doing. With some creativity, you can get in a great cardiovascular workout almost anywhere! Period-a-what? Don't be scared by the long word. Periodization means a planned, systematic approach to implementing progressive stages into your training program. The changes aren't random; they're well-planned. And they lead to great results without leaving you stranded on plateaus. Although your split may look the same, each week your workouts will be slightly different from the week before and the week after. Each week is grouped into a phase or cycle of 4-6 weeks. Each of these phases has a specific objective. Periodization works because every time your body grows accustomed to your training program, you'll switch it up. By adding these new stimuli, you'll activate a whole new set of adaptations. Because you're constantly throwing new things at your body—and giving it no choice but to adapt—you don't have to worry about plateauing. You can program these cycles so that each of them works to help you build toward your goals for an entire year. "Periodization works because every time your body grows accustomed to your training program, you'll switch it up. By adding these new stimuli, you'll activate a whole new set of adaptations." Your nutrition plan should be based upon the amount of work you do in the gym. If you're periodizing correctly, some weeks will be much more intense than others. During those weeks when you're doing less volume in the gym, you can eat fewer calories. When you do more work, you eat more. 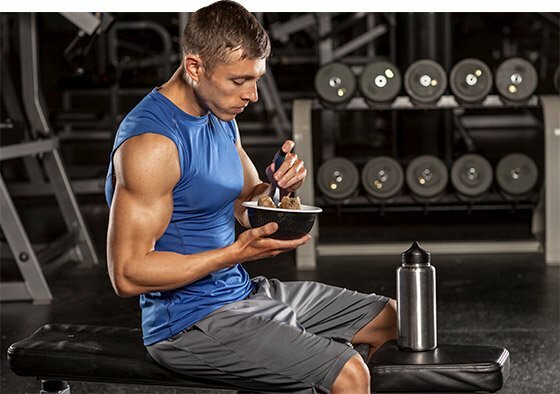 It's not a complicated plan, but making sure you're basing your nutrition on the intensity of your workouts can keep your body-fat gains to a minimum. As you're working toward building muscle, you'll notice that your weight, your body-fat percentage, and your appearance will fluctuate. That's OK! Accept the inevitable fact that your goals, the types of food you eat, how much water you drink, your training, and your sodium intake are all factors that will directly affect your appearance, weight, and body-fat levels. If you notice these changes when you're looking in the mirror or when you step on a scale, don't panic! Staying shredded year-round does not equate to health and happiness. Accept that you may not always be able to see your abs perfectly. You're making progress toward other goals! Don't think of your body as lean or bulky; think of it as it lies on a spectrum. With planned effort, you can remain on the leaner end of the spectrum regardless of your goals. Blair, S. N., H. W. 3rd Kohl, R. S. Paffenbarger, D. G. Clark, K. H. Cooper, and L. W. Gibbons. "Physical Fitness and All-Cause Mortality: A Prospective Study of Healthy Men and Women." JAMA: The Journal of the American Medical Association (1989): 2395-401. Print. Lee, D.-C., X. Sui, F. B. Ortega, Y.-S. Kim, T. S. Church, R. A. Winett, U. Ekelund, P. T. Katzmarzyk, and S. N. Blair. "Comparisons of Leisure-time Physical Activity and Cardiorespiratory Fitness as Predictors of All-cause Mortality in Men and Women." British Journal of Sports Medicine (2011): 504-10. Print. Talanian, Jason L., Graham P. Holloway, Laelie A. Snook, George J. F. Heigenhauser, Arend Bonen, and Lawrence L. Spriet. "Exercise Training Increases Sarcolemmal and Mitochondrial Fatty Acid Transport Proteins in Human Skeletal Muscle." American Journal of Physiology - Endocrinology and Metabolism 299.2 (2010): E180-188. Tremblay, Angelo, Jean-Aimé Simoneau, and Claude Bouchard. "Impact Of Exercise Intensity On Body Fatness And Skeletal Muscle Metabolism." Metabolism (1994): 814-18. Print. Wei, M., JB Kampert, CE Barlow, MZ Nichaman, LW Gibbons, RS Jr Paffenbarger, and SN Blair. "Relationship Between Low Cardiorespiratory Fitness and Mortality in Normal-Weight, Overweight, and Obese Men." JAMA: The Journal of the American Medical Association (1999): 1547-553. Print. Zane Hadzick knows what it's like to be skinny and weak. He can help you pack on pounds, increase your strength, and leave your scrawny self in the dust! Here's the plan. When BodySpace launched, Zane was there. He watched it grow into the network it is today. See how it helped him over the years. Too many people fail to achieve their resolutions. If you have fitness on your mind this January, here are the training and nutrition basics you need to make your goals a reality!